In its earliest days, the worth of a work truck was measured in its ability to haul or pull material. While this fundamental measure hasn't changed, what has changed is that today's truck is more than just a vehicle; it has become a mobile office. This is due, in part, to the increasing prevalence of technology that has allowed fleet drivers to do more in the cabin, and for fleet managers to more efficiently manage personnel and assets. One of the factors driving this added technological content in commercial trucks has been demands from commercial customers. "Our customers are using smart technology in every aspect of their jobs and their lives, and they expect their trucks to keep them connected in the same way," said Jeff Hart, fleet telematics marketing manager for Ford Motor Company. The demand is also being fueled as much by commercial customer expectations as it is by fundamental business need. "It's all about time efficiency on the job," observed Nick Cappa, manager Ram Product Media Relations for Ram Trucks. "If there's a job to be accomplished, any system that improves time and quality of the job gives you an edge on the competition. The idea is having your vehicle doing as much as possible and running as efficiently as possible to cost you less money and daylight. For example Ram's Uconnect hands free system can save moments in time freed up for other tasks or personal use." Photo of Sync3 courtesy of Ford. Even more advantageous for fleet customers, these technologies are often available directly from the OEMs. "Fleet managers can now utilize embedded technology solutions, like GM Fleet's OnStar, in our vehicles that will help them manage their fleet. 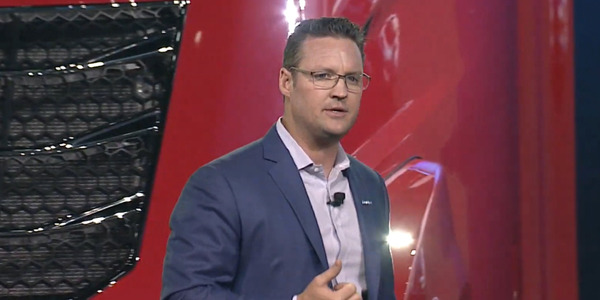 Additionally, fleets do not have to rely on unwarranted aftermarket hardware solutions," said Ed Peper, U.S. vice president, General Motors Fleet. While there is no doubt that technology is expected by commercial customers, this demand probably wouldn't have occurred without the availability of these technologies in both luxury and non-luxury sedans. "Comfort features are interesting because they were launched on nicer passenger vehicles — heated seats, heated steering wheels, nicer interiors. Now you can get that in commercial vehicles as well," Cappa noted. "You can now get a Laramie trim in a 5500 Chassis Cab. I've seen technology go both ways — commercial to consumer and consumer to commercial." This has caused a technological convergence between the consumer and commercial space with some of the biggest beneficiaries being fleet drivers. "Consumers expect technology in their vehicles to help them manage their day-to-day activities, enhance safety, and improve productivity," Peper said. "People want technology offerings in their vehicle similar to what they have on their mobile devices. Consumers and commercial vehicles need to be connected at all times. As we continue to learn these needs it helps us to drive and influence product technology offerings, not only to keep the drivers connected, but in a safe and secure way. Today more than ever all of our customers want mobile office capabilities and insightful information on how their vehicles are performing day to day. Fleets will continue to benefit from the expo-nential rate of consumer-facing telematics products that are expanded and created." The convergence of technology between the consumer and commercial is a natural evolution of the vehicle-as-office phenomenon that has occurred for many medium-duty truck fleets. "For a lot of these people this is their office, they don't have the luxury of going into an office, that truck is their business," said Brian Tabel, executive director of marketing for Isuzu Commercial Truck of America. "Bluetooth radio, remote mirrors, more comfortable seating, arm rests, big gulp cup holders, DIM points not for just powering — you're powering your phone, some auxiliary equipment such as your computer — giving them capabilities they can utilize." Ultimately there may be an even more fundamental convergence going on, which may be expressed in technology, but caused by today's increasing blurring of personal and work lives. "There seems to be a trend, where features that individuals like are very similar to what commercial drivers need as well — like hands-free driving, access to all of the Siri features that need to be accessed from your phone," observed Mark Oldenburg, national fleet marketing, mobility, and strategic planning manager for Toyota. "All those things are the same whether you're a commercial customer or driver conducting business or an individual organizing your life and doing things to make life easier." Photo of Entune courtesy of Toyota. While fleet drivers may be the direct beneficiaries of technology, fleet managers are seeing gains as well. 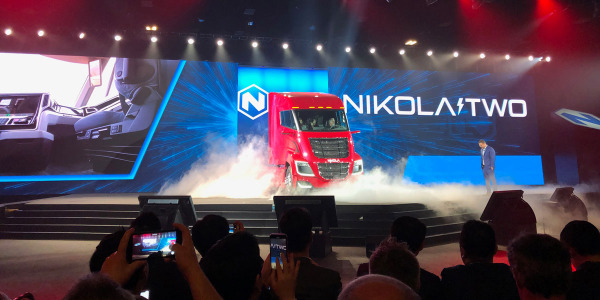 "The efficiencies [gained] may be more related to the fleet managers — how's the truck being driven, how long has it sat idling, almost being able to gamify the driving experience and reward the best drivers," said Terry Kline, CIO for Navistar. "We work in an industry where there's a driver shortage. If you win the driver's heart, you're going to come out a winner." Because it has a business function, this technology is not added just for its own sake. "When a technology demonstrates a favorable cost-benefit ratio and provides value for our customers, we will work to find the most cost-effective and efficient way to make it available," said Wesley Slavin, Peterbilt marketing manager – Medium Duty Products. The addition of advanced technology really should come down to the bottom line. "Many medium-duty customers are thinking more about the real cost of ownership of their vehicles, rather than just the initial purchase price," observed Mary Aufdemberg, director of product marketing for Freightliner Trucks. "They're considering what they need in a vehicle to get the job done, how to optimize the balance between performance and economy, and what features are most important to their business as well as their drivers." For fleet operations overall, telematics is probably among the biggest technological innovations that are now available for trucks. Several OEMs have entered into partnerships with one or more of the telematics providers, and fleets are finding that these systems, which can monitor everything from fuel use to driving behavior, have been a key component in their operations. 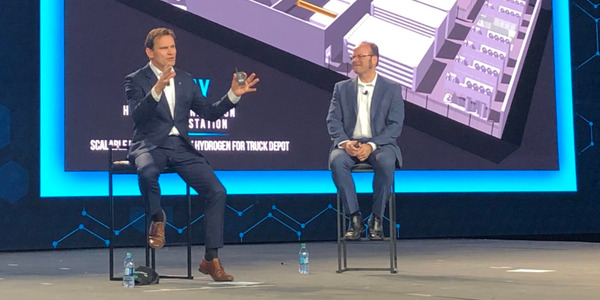 For instance, Kline of Navistar noted that Navistar's OnCommand Connection has been a component in helping keep fleet trucks on the road. "We have a significant focus as a company on uptime, and telematics is a significant enabler to providing that uptime, and also safety items, and efficiency items," he said. "One of the things we've been able to show with our OnCommand Connection system is, in some cases, 60-percent reduction over the industry averages relative to repair and maintenance. That's significant value to the industry relative to running the truck by the mile." Peper of General Motors noted that the company's OnStar system has also helped fleets become more productive across the board. 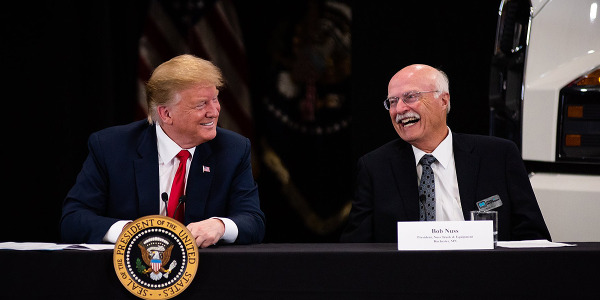 "We have had fleets report up to a 15-percent increase in productivity, 25-percent reduction in fuel use and a reduction of up to 10 percent in miles driven," he said. 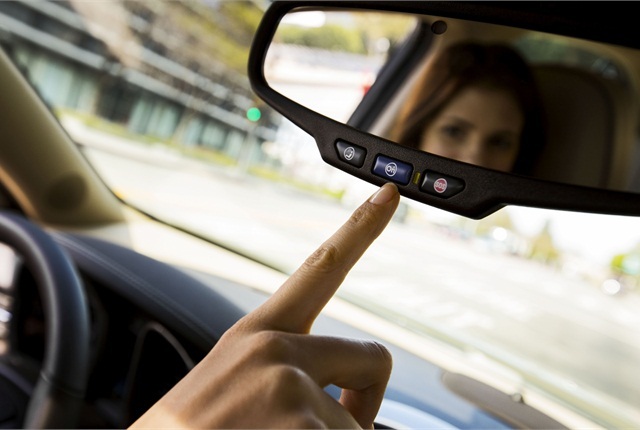 Photo of OnStar courtesy of GM. While all of the OEM systems offer fleet managers the opportunity to increase efficiency, they do it in slightly different ways. Customization is one of the hallmarks of these always evolving telematics systems. "Ford Telematics powered by Telogis is a next-generation, cloud-based fleet management solution that helps commercial customers better manage vehicles and improve their customer service," according to Ford's Hart. "Ford Telematics offers real-time actionable analytics and communications capabilities, including hours of service, vehicle inspection reports, in-cab alerts and driver scorecards. Ford Telematics offers diesel emissions tracking, idle time reports and fuel management tools, helping fleets understand their usage and optimize their efficiency." Ford Telematics powered by Telogis is available on 2009 and newer Ford F-Series, Transit Connect, Transit, and E-Series vehicles. GM's OnStar system is an integrated system and is offered through partnered telematics providers. A small-business solution called Commercial Link will be available later in 2016. There is no additional charge for the hardware, according to Peper. "Through OnStar we can improve productivity with vehicle location, remote engine start and real-time alerts," he said. "Cost reduction can be realized by vehicle health and diagnostic reporting for oil life, tire pressure, engine hours, mileage, and fuel consumption information. Enhanced driver safety and behavior can be monitored, such as hard acceleration, hard braking, seat-belt use, diagnostic trouble codes and remote lock/unlock a vehicle remotely if a driver/worker locks the keys in the vehicle. All of these benefits can be used for any fleet's telematics solution, simply by leveraging built-in OnStar hardware." Ram's system is called the MOPAR Electronic Vehicle Tracking System, which is an example of the convergence between consumer and commercial vehicles, according to Ram's Cappa, having debuted in personal vehicles prior to migrating into the commercial line. "It offers features important to the work truck customer — with state-of-the-art GPS that aids in stolen vehicle recovery in the event of a theft. There's also nationwide tracking without a subscription," he said. "But, you can add silver or gold plans and receive a variety of other benefits, such as 24/7 emergency dispatch, geofencing, arrival-departure notification, excessive speed notification, trace maps, and past locations. There's a lot it can do. If you are a fleet owner or fleet manager and you want to monitor vehicles, it's an elaborate system to do just that." Photo of UConnect courtesy of FCA US. The Detroit Connect Virtual Technician has been a standard feature on Freightliner trucks spec'd with Detroit engines since 2011, and is designed to improve uptime and decrease maintenance. "Virtual Technician provides a technical snapshot of the vehicle's performance before, during and after an engine or after-treatment system fault," explained Freightliner's Aufdemberg. "Within minutes, customers have a preliminary diagnosis, our expert recommendations, and directions to nearby service locations with the available parts if needed." While Freightliner focuses its telematics offerings on delivering engine and vehicle data, like Virtual Technician, Aufdemberg recommended that Freightliner customers who need a fleet management telematics solution should consider using Zonar Systems' suite of connected vehicle solutions. "Zonar's Ground Traffic Control uses the same hardware as Virtual Technician and lets fleet managers track the exact locations of their trucks, as well as the miles traveled by state, fuel consumption, idle time and other critical information," she said. Taken together Freightliner's options , the Detroit Connect Virtual Technician or the use of Zonar's telematics system, helps keep fleets rolling, according to Aufdemberg. "By receiving immediate diagnosis, categorization, analysis and recommendation of the fault event from Detroit's experts, drivers and fleet managers can make service decisions that minimize downtime and save money by keeping trucks on the job for non-urgent issues," she said. "This level of connectivity improves uptime by servicing vehicles only when needed and minimizes time in the repair shop by reducing the diagnostic time. Navistar's telematics offering OnCommand Connection is integrated with 11 telematics providers, giving fleets the flexibility to work with either an existing provider or the one that will best fit its operations. 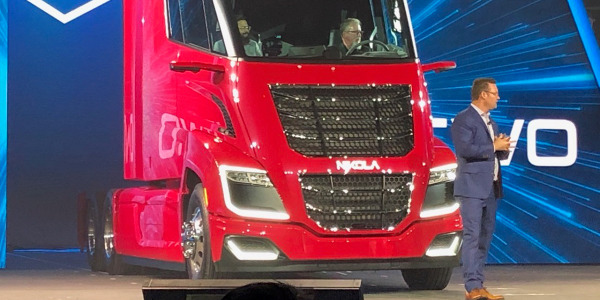 "We offer a unique look at the truck — we've engineered the truck and we understand the truck in intimate detail," Navistar's Kline said. "We don't offer a telematics offering directly today. OnCommand Connection is a bolt on to telematics. We're proud that we're open architecture, so we'll go with any telematics provider. The second piece of that whole open architecture story is that we're not just connected to our brand — we'll connect Freightliners and Peterbilts to our open OnCommand Connection system. If you run a fleet, you don't want a bunch of different systems based off of the kind of truck you have. There aren't a lot of fleets that just have one brand. OnCommand Connection will look at your codes. It will tell you, do I need to do something immediately or can I drive another 1,500 miles? I like to say that it's like having a mechanic in the truck with you." 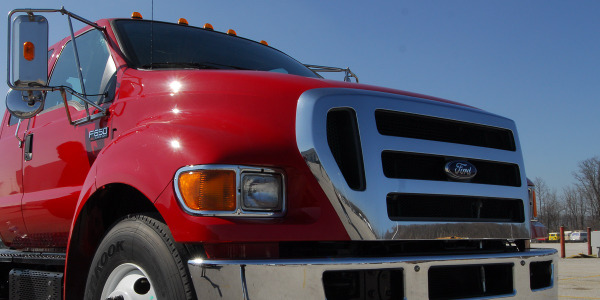 Navistar recently announced that it is instituting over-the-air programming of its engines. Hino's INSIGHT system is designed to provide total customer support, according to Adrian Ratza, marketing manager for Hino Trucks. "INSIGHT Telematics powered by Telogis gives fleet managers actionable feedback in pursuit of optimal fleet efficiency," said Ratza. "INSIGHT Remote Diagnostics and Case Management will enable service techs to assess any issues much more quickly and streamline the communication process between the dealer and their customer, which directly translates to less downtime." INSIGHT is standard for all MY-2017 vehicles. Among INSIGHT's capabilities are mapping, geofencing, driver monitoring, reporting, and the ability to keep electronic vehicle inspection logs. While Isuzu doesn't have a telematics offering — yet — it is currently in the final stages of evaluating a system developed in partnership with Telogis, which Isuzu's Tabel said will likely be offered in the future. Tabel predicted that, while telematics has yet to be a "must have" in every fleet (or consumer) vehicle, the day will come when it is as standard as an FM radio. "It's just going to be a component that will be key for a business operator to use," he said. But, telematics is only the tip of the technological iceberg. While Toyota doesn't offer a telematics system per se, it has a suite of technology built around its Entune system available for its Tundra and Tacoma pickup trucks. New for MY-2016 is Toyota's Scout GPS Link application, which offers navigation and other options, such as a fuel finder and traffic, which will be of particular value for fleets, according to Oldenburg. "Our commercial customers have been begging us for years to offer a low-cost GPS system, so what we were able to do with Scout GPS Link is meet that request," he said. "It's a low cost navigation system that's available on our vehicles that's exactly what they've been asking for. In the past, they had to get the fully loaded [vehicle] in order to get the navigation system. Now they can get it on one of the lower-grade models that offer the Scout GPS navigation system, so that's a huge benefit for our commercial customers this year." 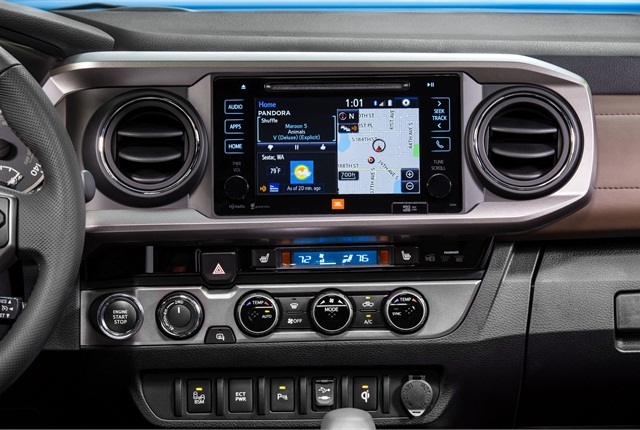 Other productivity features that could be of use to fleet customers in the Toyota vehicles include Siri Eyes Free, which allows drivers to activate and use the microphone in the pickups to access their iPhones and manage their data. "I keep my iPhone in my pocket or briefcase and I can access Siri and my calendar, I can set up meetings, appointments, I can get information, I can access my e-mail," said to Anthony Novak, Entune/in-cabin technology marketing and training planner. This feature is standard on Tundra and Tacoma models. Other advanced technology available from Toyota, includes a backup camera, pedestrian detection, and pre-collision system with automatically activated braking assistance. The automaker also offers a Safety Connect system, which features enhanced roadside assistance, an SOS button, and stolen vehicle location. The company is currently evaluating the viability of offering Wi-Fi as a feature, according to Novak. Oldenburg also noted how the redesigned Tundra and Tacoma have been particularly focused on the mobile office. 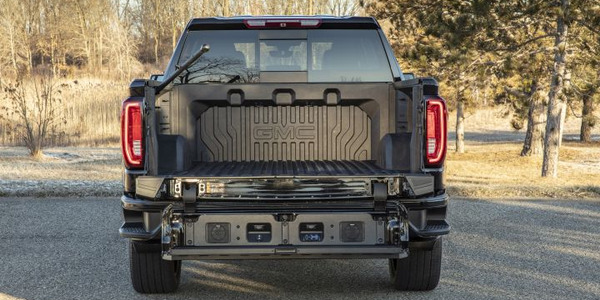 "The ergonomics, the space needed to take notes and write, set up a laptop and operate as you would in an office is important and we're integrating that into the design of the new Tacoma and Tundra," he said. 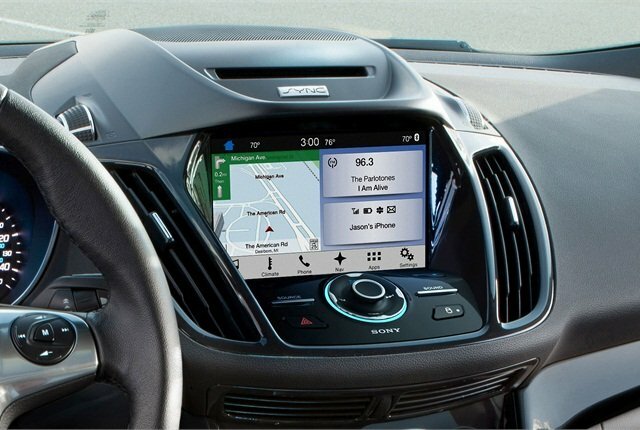 Echoing Navistar's open-architecture concept with its telematics platform, Ford created SmartDeviceLink, which is an open-source version of Ford Applink, a software protocol that allows smartphone apps to be controlled through a vehicle's dashboard interface, according to Ford's Hart. Toyota is adopting SmartDevicelink and will be contributing to the open-source software. 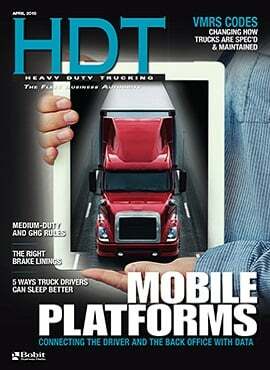 Technology beyond telematics is available from the other OEMs. Ford's Sync 3 is available on its F-150 as standard in the higher trim levels. 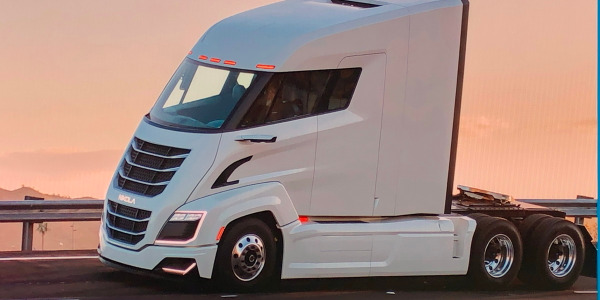 It also offers a blind spot information system, a 360-view camera, and Pro Trailer Backup Assist and Adaptive Cruise Control, according to Hart. GM's OnStar offers a variety of services beyond telematics, including advisor routing, turn-by-turn directions, stolen vehicle assistance, and remote door lock/unlock. OnStar is standard on most GM vehicles. In addition, GM offers rear view cameras, vehicle location, remote engine start, real-time alerts, and a mobile office 4GLTE Wi-Fi hotspot that will connect up to seven devices. "GM Fleet offers customers our 4GLTE Wi-Fi hotspot for three free months or 3 GB of data, whichever comes first, creating a mobile office," Peper said. "Fleet management data services are direct from GM or through our preferred telematics partner Telogis." Ram also offers a wide array of in-cab technologies in addition to telematics, including front wheel park sensors, and rear view cameras — which can be placed wherever the fleet wants it — hands free navigation, Wi-Fi, and accessory drives and switches. Its Uconnect system — which is another convergent technology — allows fleets and consumers to monitor whatever is important to the user, for instance, oil change intervals. One unique technological aspect that Ram offers is the ability of upfitters to have access to the Vehicle System Interface Module (VSIM). "The VSIM upfitter interface module features a total of 72 inputs and outputs, including lighting controls, door position, and power take off (PTO) use. The class-exclusive module acts as a secure gateway to the vehicles' electrical systems and data bus architecture to enable safe, secure plug 'n play connectivity for upfitter use," Cappa of Ram explained. Peterbilt recently introduced its Driver Performance assistant, which is standard in the company's Class 6-7 cabover Model 220, and the Bendix Wingman Advanced collision mitigation system, which is optional in Peterbilt's conventional style Class 6-7 models. The Driver Performance Assistant is designed to give feedback and mentor drivers about operating trucks more efficiently. "The in-dash technology reinforces positive driving habits and scores drivers based on numerous criteria, such as braking and acceleration," explained Peterbilt's Slavin. "The Driver Performance Assistant provides customers with bottom-line savings through improved fuel efficiency and reduced maintenance costs." The Bendix Wingman Advanced collision system, on the other hand, features autonomous technology to improve safety. It is available on Peterbilt Class 6-7 conventional 330, 337, and 348 models. "This system can help our customers improve safety and reduce costs. It includes features such as adaptive cruise control with braking and technology that senses and helps avoid rear-end collisions," Slavin said. Isuzu's focus on turning its cabs into a mobile office has led to it focusing on ergonomic improvements, such as telescoping steering wheel, better seating, and even improved cup holders. Tabel noted that even the ingress and egress of the vehicle has received a technological update. "It's protected when entering or getting out of the vehicle," he said. "It's very ergonomic for the driver." Isuzu trucks also include optional Bluetooth radios and, while the company isn't required to include back up cameras, it is working with its body partners about having a camera as an option. 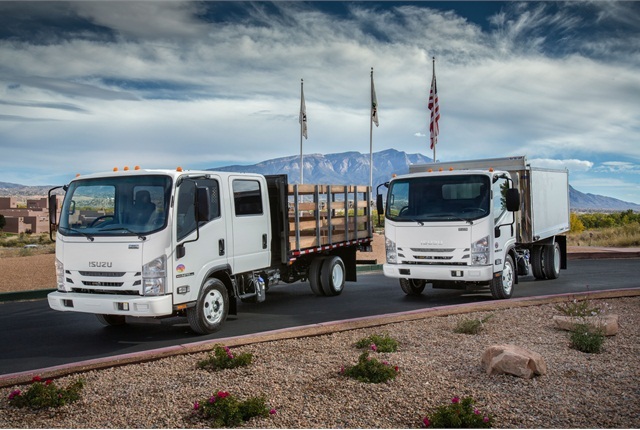 Freightliner offers its fleet customers a variety of customization features to help them implement the mobile office that best fits the fleet's and its drivers' needs. 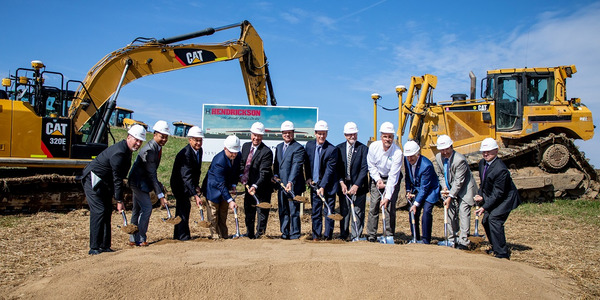 Manufacturers (TEMs) and provides ease of operation of body equipment," said Freightliner's Aufdemberg. "On the M2 106, we offer safety technologies such as Meritor WABCO's OnGuard and OnLane. 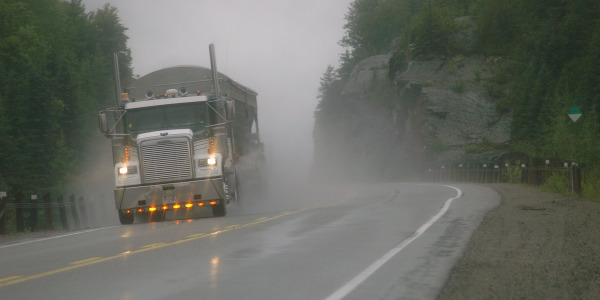 OnGuard is a radar-based collision mitigation system with forward collision warning, active braking and adaptive cruise control for commercial vehicles. OnLane is a lane departure warning system." Hino also offers Bluetooth radio, which is standard on all Class 6 and 7 conventional models and optional on Class 4 and 5 Cabover engine models. Navistar is in the process of developing a host of new technologies. "We're putting together some technology around adaptive cruise control — it knows where you're at, what speeds you want to travel at, it knows there's a hill coming and it will adjust the cruise control to get the benefit of that hill that's coming or the grade," said Navistar's Kline. Kline noted that Navistar's approach to adding technology into the cab is mobile and individualized. "If there is a way to leverage your phone instead of sell you another device, we want to leverage the phone, because of the quick turn and upgradeability of the phone and the capability relative to the processing power and memory and use it to integrate into the vehicle," he said.